Coupled with a colourful salad, some sweet potato wedges, some tomato salsa- this is a happy, colourful recipe which is perfect for a mid- week supper. Heat the oven to 275 degrees/ 400 degree Fahrenheit. 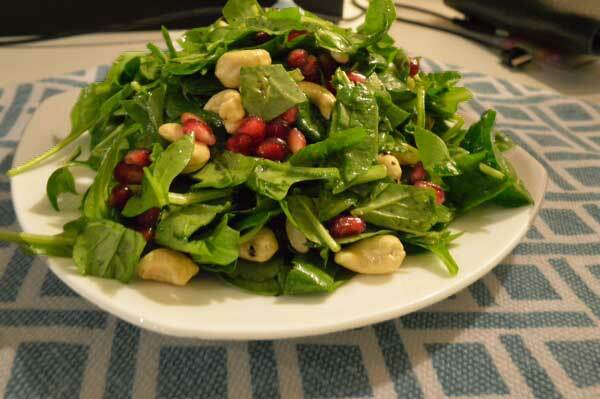 Make up the salad, by chopping the spinach, throwing into the salad bowl along with a handful of cashew nuts, and the pomegranates. Dress with the olive oil and apple cider vinegar and toss. 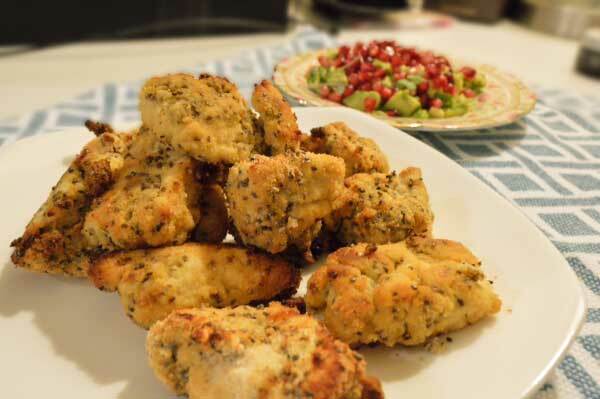 For the nuggets, dice the chicken and set aside. In a mixing bowl, add the lime juice, and the chia seeds. leave for 5 mins until the seeds absorb the lime juice. Now add the coconut flour. Throw in the chicken and toss until coated. Remove the chicken from the bowl. Crack the egg, and toss the chicken through the egg white, on a plate. 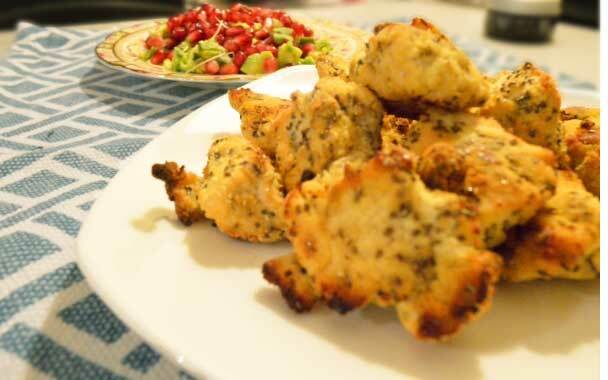 Once sufficiently coated, return the nuggets to the coconut flour and chia seed mixture. Coat again. Now make the guacamole. Mash the avocado. Add the juice of the lime. 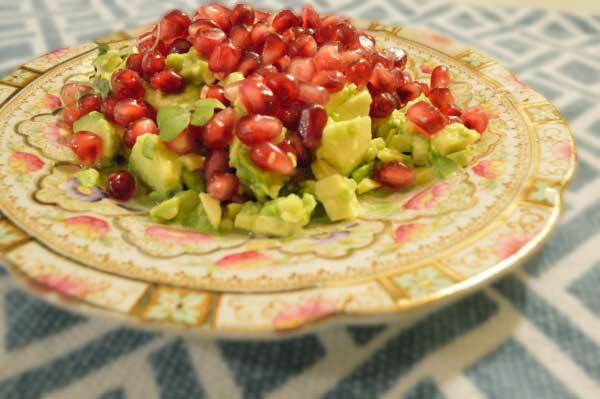 Throw on a plate and top with pomegranate seeds. Once the nuggets are cooked through and golden brown. Serve and enjoy.